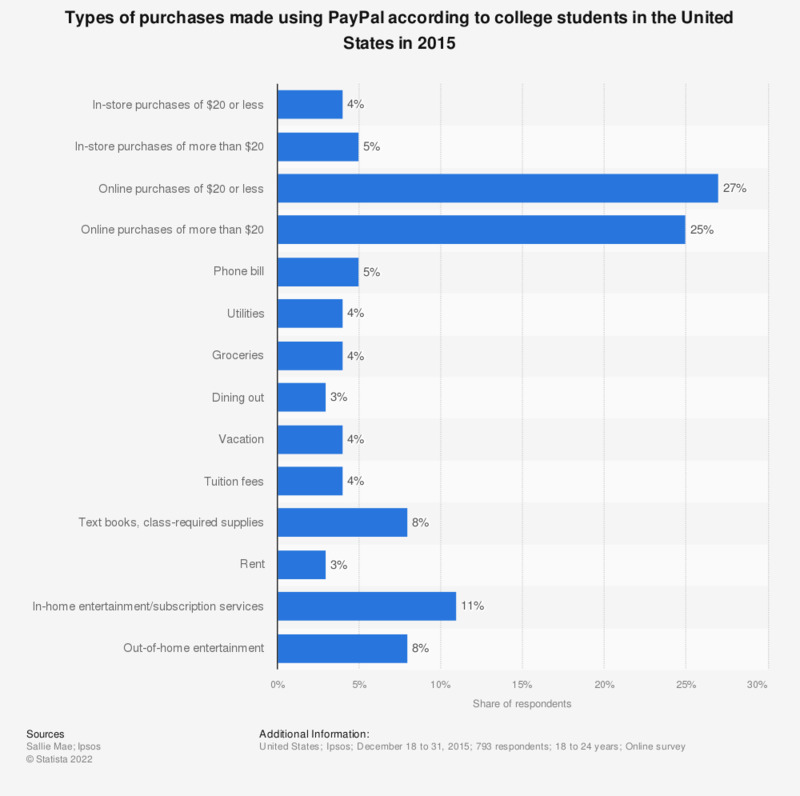 This statistic ranks the types of purchases made using PayPal according to college students in the United States as of December 2015, by age. In a survey carried out in the same time, it was found that 25 percent of responding students used PayPal to make online purchases worth more than 20 U.S. dollars. How likely are you to use mobile payment systems on your smartphone in the next year?